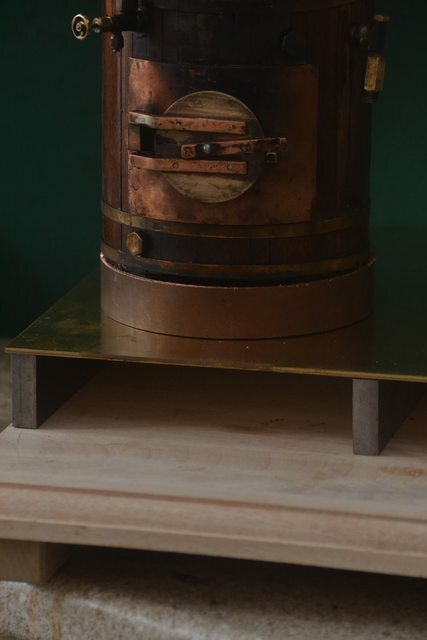 It was originally designed as a coal fired boiler - I have got some notes and plans I can email if you were interested. I have bought some materials to mount the boiler to a base, my intention is to fabricate a 'box' about 1.5" high for it to attach to and to make an opening with a door at the front. The door will regulate airflow and allow access to the firegrate for cleaning etc. I didn't want to create a full blown build log here but I did think of taking a few photos to show how the idea develops including adding a water tank etc. Now that I have the materials to make a base I've been thinking a bit more about this. I'm really not sure how much air a boiler of this size and design needs so I'm kind of guessing here but I dont think it would be difficult to get nearly 20sq" of air holes in the 'box'. I guess what I'm kind of getting at is does it sound right to have the same amount of air intake surface area in the base as the fire grate area of 20sq" ? In practice the area of the grate exposed to air is probably closer to 15sq" than 20sq" allowing for fire bars but you see what I'm getting at. Anyone got any thoughts before I start cutting and soldering ? You don't need anywhere near the area of the grate as an air supply, will post a bit more later as off out. Part of the reason for wanting to raise the boiler and have it sitting on a box is to enable me remove the grate while leaving the boiler fixed, at the moment the air intake isn't large enough but it isn't practical to widen to the size needed. 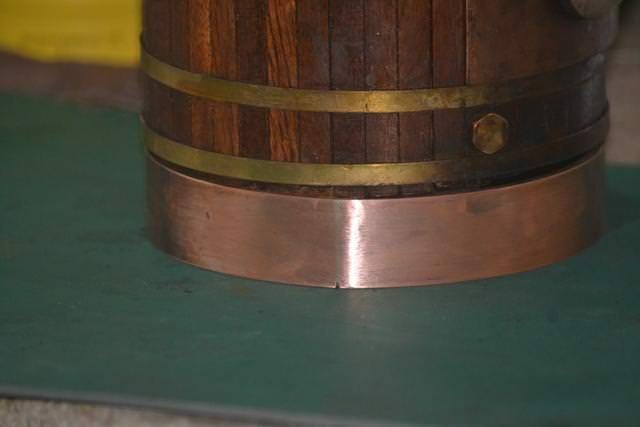 I thought by soldering a copper ring onto some brass sheet with a 5" dia hole cut out and making a door at the front I could get increased air flow and allow removal of the grate. To be honest my method of allowing access to the grate isn't ideal, I can see it being fiddly to slide in then up into the fire box but I can't really think of another solution that is fairly easy to make. My gut feeling is that the existing air intake slot is a tad small (but that's just a guess), even if it isn't too small I think it will be better to have the air entering from a full 360o rather than just at the front as it is now. Right just a couple of examples of grate to damper (air inlet) size to show that you really don't need much more if any. 2" Fowler has a 5" boiler, grate area of 16sq in and the damper when fully open will give about 3 sq in. This is an engine design that can do real work and will happily pull two adults about on coal. 2" Superba has a 6" dia boiler, grate area of 25sq in and the damper when open would give about 5sq in area. Again an powerful engine capable of real work. Also you should not be opening the fire door to get more air into the boiler as that has little effect on the fire, the air needs to come from below to feed the fuel with oxygen, not just waft over the top of the coals and then up the chimney. Your best bet to regulate the air would be to add a second slot at the rear of the boiler and then make two slots in that ring you have but allow the ring to rotate which will allow you to control how much of the two boiler slots are open to air. Thanks Jason, it sounds like my grate and air intake are comparable to the 2" Fowler. 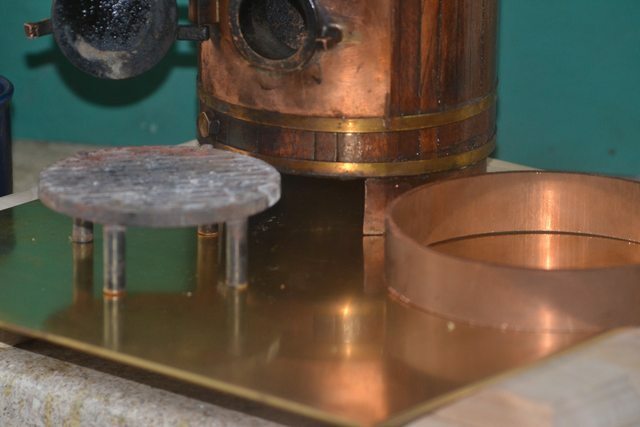 I was planning on having the copper ring soldered to the brass plate as a firm support for the boiler to sit in, I had considered drilling a few holes around the circumference to allow air to enter more evenly. 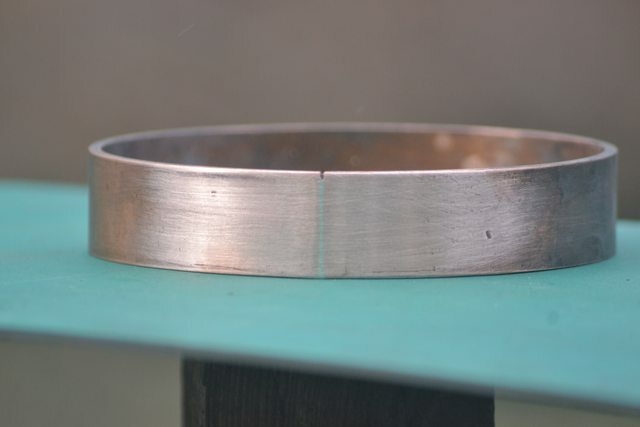 I do have a ceramic burner that is a good fit so although I intend to use it on coal I want to make a hole in the ring so that a gas feed can pass through. I guess this thread has now drifted off the original topic and I maybe should start a mini build log. It did eventually work and although the solder didn't fully run at the top it was about as good as could I expect. It is a reasonably good fit on the boiler but neither the ring nor the boiler itself are 100% circular so it does fit better in certain orientations.